I don’t know about the effectiveness of the swine flu quarantine, but I think it’s the only thing the government knows to do. Swine flu didn’t enter Mongolia until the middle of October. Within a month there were almost a thousand confirmed cases. To date there have been more than 1000 confirmed cases and 18 deaths. Mongolia has a very small population. There are only 3 million people in the entire country with one-half of the population in Ulaanbaatar. The population of Mongolia is about 1% that of the U.S. I think a lot of the concern about swine flu is due to the country’s limited health care resources. Flu vaccines have not arrived yet, and there is no Tami Flu. Also the health care facilities are not equipped to handle an epidemic. The schools in Mongolia had a fall holiday; it was extended two weeks for the quarantine. Students 6th grade and up are returning to school on Monday (Nov. 23). We still cannot hold Church meetings or have big gatherings or events which children will attend. We will resume Addiction Recovery meetings this Tuesday. However with the loss of momentum, I’m not sure how many will come to the Addiction Recovery meeting. Although there is still a quarantine, we decided we could feed our missionaries on Thanksgiving Day since there are no children involved. We’ll have the missionaries immediately come into the building so it doesn’t look like a large crowd is congregating. Thanksgiving Day on Thursday is also Mongolian Independence Day. 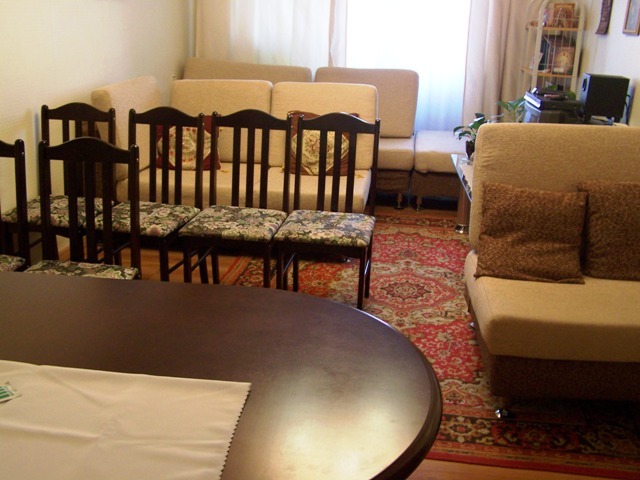 We will serve Thanksgiving Dinner around 12:30 pm to all of the missionaries in Ulaanbaatar and Nalaikh. I believe we’ll feed about 100 people. No turkey; we will substitute pork. Food assignments were passed out to the senior couples. Wes made 8 dozen rolls yesterday (I believe 3 people are making rolls). We also cooked 2 large pork roasts as part of our assignment, and Wednesday I’ll make 3 pans of jello. It’s hard for us to realize it’s Thanksgiving and almost December. The months keep rolling on. We have been on our mission 7 months out of the 18 months. We still are not having any success with visas for new American missionaries. We were promised a letter last Monday, but they’re stalling and we haven’t seen the letter. Last weekend (Fri. Nov. 13) we had the Whitmans come over and play Ticket to Ride with us. A previous missionary couple had left the game here. On Saturday (Nov. 14) the senior couples got together and played games. Sister Andersen made great caramel corn. If you want the recipe, let me know. Wednesday the Woolseys from Hong Kong who are with Deseret International Charities were in town so we all went out to eat at an Indian Restaurant near the Bayanzurkh building. Yesterday we went to a Christmas craft show at the American housing. I bought a couple of Christmas items so I’d think it is Christmas here. In the evening we and the Caldwells were invited to the Whitmans for a pleasant evening with a dinner of wonderful Mexican soup. Last Sunday and this Sunday we held a sacrament service at the Caldwell’s apartment. They turned their furniture around so it looked like the room was set up for a meeting. These small meetings are wonderful and filled with the Spirit. The Bouldin family joined us (he works at the U.S. Embassy). They have a 14-year old son who passed the sacrament to us. Wes gave a talk on forgiveness with stories illustrating the principle. Elder Whitman gave a talk on Gen. 3:15 / Moses 4:21, “... He (Jesus Christ) shall bruise (crush) thy (Satan’s) head, and thou (Satan) shalt bruise his heel.” Bruising a heel is not fatal, but crushing a head is. In the atonement Satan bruised Christ as Christ took upon himself our sins (Isa. 53:5). But as a result of the atonement Christ will overcome sin and vanquish Satan (Rom. 16:20 and Heb. 2:14). Thus the creation story in Genesis is the first Biblical prophecy of the Savior’s atonement. Although we can’t attend our Sukhbaatar Branch and meet with the people in the branch, the missionaries are teaching many lessons. Some lessons have been taught in our apartment. By having the missionaries teach in our apartment we can feel the spirit with which they teach. It has been a blessing for us. There is a new group of 20 Mongolian elders and sisters starting their mission this coming week. They will enter the Manilla MTC on Sat. Nov. 28. Because of the quarantine we won’t be able to hold a new missionary fireside this coming Tuesday night. President and Sister Andersen’s daughter Alice has come to visit with her 3-month old baby boy. She’s been here a week. Her husband came in today, and they’ll be here one more week. It’s fun to have a baby in the mission. Last Tuesday I had the privilege of babysitting Josiah for a couple of hours while Sister Andersen and Alice went out. A week ago at Church everyone was wearing a mask because of the swine flu scare. They passed out masks at Church, and the branch president reminded everyone to wear masks the following Sunday. Wearing masks is a very Asian thing to do. Even if as Americans we may not think masks are effective, the President said it is a matter of obedience to wear them. In looking down from the stand I saw everyone wearing white masks with a few pale pink and blue masks thrown in. The priests administering the sacrament happened to be wearing black masks. It’s the first time I’ve seen priests administer the sacrament with black masks on; it looked very strange. The masks go from under the eyes to under the chin. Saturday Oct. 31 we had the Whitmans over for dinner to welcome them here. On Monday Elder and Sister Raymond Anderson returned to serve another mission in Mongolia. They were able to come because they already had a visa. They had gone home for two months and returned to serve another mission for at least 18 months (they are planning on staying for 23 months). Elder Anderson served a mission as a youth and this is their fourth mission as a couple. They served a full-time mission for two years in a cannery. They served a mission in Croatia. 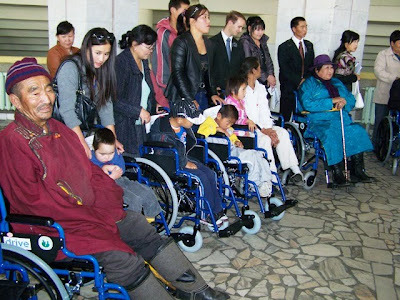 Now this is their second mission in Mongolia. On Wed. Nov. 4 we had a dinner in President Andersen’s apartment to welcome the two couples. The next day the Andersons flew to Choibalsan which is 377 miles or 606 kilometers east of UB. Last week was cupcakes week. This week was brownies week. We made 4 13"x9" pans of brownies. One pan was for the dinner for the Whitmans on Sat. Oct. 31, two pans were for the singles home evening at Sukhbaatar on Monday night, and one pan for the senior couples welcome dinner on Wednesday night. Schools have been closed in Mongolia for a couple of weeks. As of last Wednesday the Church was closed in Darkhan and Erdenent and no youth under 16 could attend Church. Also our building was to be locked at 9 p.m. (as though swine flu only came out after 9 p.m.). On Wednesday afternoon (Nov. 4) the government came out with a pronouncement that there are to be no public meetings in the country and no market places are to be open except for those that sell food. This restriction is to last at least two weeks. As a result we have had a quiet week since then with English classes, piano classes, addiction recovery, baptisms, seminary and institute, and all Church meetings cancelled. The President is concerned about keeping prospective baptisms and members progressing in the gospel with the shut down. The missionaries are to concentrate on visiting and teaching new members; they are to teach a lot of lessons. 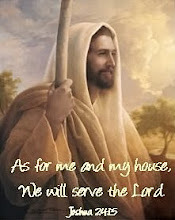 The bishops or branch presidents may authorize priesthood holders to administer the sacrament in their own homes. However there are not to be large groups, and members are not to be assigned to go to a given home for a sacrament meeting. Saturday evening the sign language sisters, Sister Tsetsegmaa and Sister Azzaya, came over to our apartment to teach a lesson to a young girl who was baptized a year ago. It was interesting to watch them talking in sign language. Sister Azzaya translated for us from sign language to English. Sunday afternoon Elder Michie and Elder Cardinal came over to administer the sacrament to 3 young people: Chintuya, her cousin, and a young man I don’t know. It was such a small group. It shows the significance of the sacrament is in the ordinance and covenants themselves; it does not require a large number of people and talks. 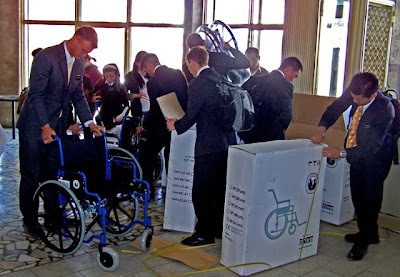 Missionary transfers occurred a week early on Sat. Oct. 31 instead of the scheduled day Sat. Nov. 7. The President felt impressed to do so although they’d never had transfers early before. The government declared all train rides cancelled within the country as of Sat. Nov. 7. There would have been problems if the transfers hadn’t occurred a week early. Sunday evening the senior couples gathered for our monthly family home evening at the Lasson’s apartment. With the Whitmans and Gloria we had 11 people present. We also had the privilege of having the sacrament administered at our home evening. After the sacrament our lesson was from the Joseph Smith manual, lesson #37 on Charity, the Pure Love of Christ. Each couple was assigned a bullet point to discuss. Our thoughts were on how we can enlarge our hearts in love towards others. When we first arrived in Ulaanbaatar in May, people were planting flowers in anticipation of summer. The flowers bloomed two months later in July. Here are pictures of the flowers. BYU Studies lists the Doctrine and Covenants lessons for this year's Sunday School Gospel Doctrine class. http://byustudies.byu.edu/resources/dclessons.aspx. 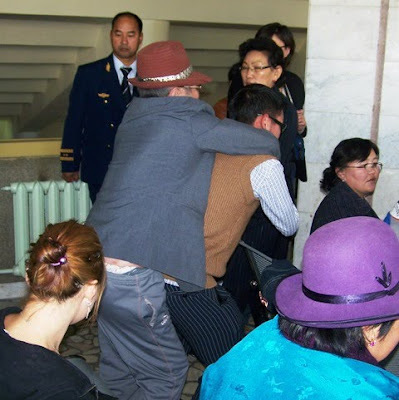 For lesson 26 "Go Ye into All the World, and Preach My Gospel," there is a reference to the BYU Studies article, "Nothing Less Than Miraculous": The First Decade of Mormonism in Mongolia. Click on the link and download the article to read about the first decade of the history of the church in Mongolia. 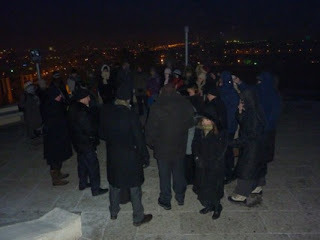 Last Tuesday we attended Addiction Recovery at Bayanzurkh. It was the 12th week or 12th step, and 7 people were ready to receive certificates (only 5 of them were present). Beginning next Tuesday with Elder and Sister Hitchmough gone, Wes and I will need to open and close the meetings and preside at the meetings. We have a teacher (a facilitator), a class president who takes roll, and a translator. Wednesday and Thursday was the senior retreat for the senior couples in the mission. 10 couples plus our guide Jangar went on the outing. Elder and Sister Jackson were not able to go because of an emergency in the mission. Tuesday we wondered about going the next day because it poured and hailed in UB. However, Wednesday morning started out beautiful. We began by going to the ruins of the Manzushir Monastery, about 60 km south of Ulaanbaatar. It is located in the southern entrance of Bogd Khaan National Park. The monastery was established in 1733 and housed 300 monks. The monastery grew to consist of 20 temples and had an artificial lake in front of what was the main temple. In 1932 all of the halls were destroyed in 5 days by the Communist purges. The pictures show the ruins of one temple. Another temple has been restored. When we entered the temple, we were told we had to go to the left in a clockwise direction. In the pictures when you see blue, blue represents the sky and is used to designate sacred places. Sacred places are usually high in the mountains. From there we drove to Hustai National Park, about 100 km west of Ulaanbaatar. From the monastery we had to drive back to UB and then on to the park. We slept in a ger. It was like going camping and sleeping in a cabin. Shortly after arriving, there was a tremendous downpour of rain. These gers are placed on cement circles. President and Sister Andersen found their ger surrounded by water, but it quit raining and the water subsided by dinnertime. In the evening we played a group game of Guesstures. The next day we drove through the park to see the Prezwalski horses. They are wild horses native to Mongolia, but the horses became extinct here. They have been brought back from zoos throughout the world, and now there are about 320 Prezwalski horses in 3 locations in Mongolia. 40 foals were born here this year. In appearance they are white around the mouth and have stripes on their legs. The mane has short hair, and their body has different shades of buckskin. Prezwalski horses have two more chromosomes than domestic horses. As we drove to Hustai National Park, part of the driving is on dirt roads. There can be one or more roads. If a driver doesn't like the road, he'll drive on the grass and soon another road is formed. As we were driving there was a covey of quail on the road in front of us. An eagle swooped down in front of us and just missed getting a baby quail. When we returned to UB, we put back on our missionary clothes and had a pizza party at the President's apartment where we told the Hitchmoughs and Clarks what we remembered and appreciated about them and wished them goodbye. The four couples from the countryside were still with us. The Hitchmoughs fly back to Canada tonight, and the Clarks will leave a week from Wednesday after the new couple, the Lassons, come to take their place. Saturday morning I taught the piano class again. In the afternoon Sukhbaatar Branch held a birthday party to recognize all those who had a birthday from January through June. They also honored the Hitchmoughs who were leaving. It was a very nice social and lasted from 3 to 4 hours. They began with a spiritual part of the program which included testimonies. Elder and Sister Hitchmough were asked to bear their testimonies. Then for the social part the youth performed a cute skit where they reenacted Elder and Sister Hitchmough meeting each other. For a game they had Mongolian Karaoke. One of the elders in the branch Elder Amgalan has a very good voice and won first place. Last week was busy as usual between office work, family home evening at Sukbaatar on Monday evening, the addiction recovery program on Tuesday evening, attending the National Theater again on Wednesday night with the Caldwells and Hodges (in UB from Erdenet) who were celebrating birthdays, attending a baptism at the Chingeltei building (where the Sukhbaatar branch is held) on Friday night, teaching piano classes Saturday morning, and having all the missionaries in the Sukhbaatar branch to dinner on Sunday. On Friday afternoon four of us couples decided to take an hour in the afternoon and drive to a Buddhist monastery in Ulaanbaatar. It kept raining harder and harder. The gate to the monastery was closed so we turned around and went back. 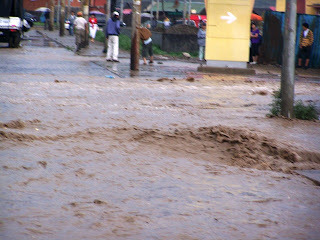 The rain was very deep everywhere. Relief Society on Sunday was interesting. The lesson was on tithing. The teacher put sample budget figures on the board with much class discussion. I was interested in what the figures were. She projected an income of 280,000 ₮ a month. Our branch is in a ger district. There are 3 people in the teacher's family with 2 grown children. Sister Hitchmough sitting next to me said if the teacher earned that, for a lot of them it was a good salary. *I've heard that a lot of Mongolians own their own land as a grant from the government, but I figure for those that don't the rent might be the cost of putting a ger on a piece of property. Obviously their standard of living is not our standard of living. As Americans we don't live like they do, especially when we buy canned goods and American food. The sisters in the class discussed the cost of a bag of flour and other essentials for living. They knew exactly what everything should cost. A very cute Mongolian girl Sister Batchimeg, who had just returned from a mission to Australia, sat beside us and translated. She said the 112,000 ₮ would really be a very low amount to spend for food. The numbers above don't add up to the 280,000 ₮ so I guess there is leeway. 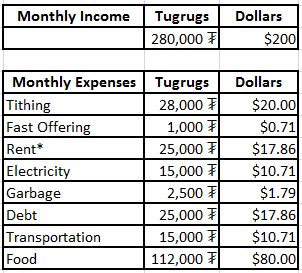 As an example of income, the translators earn 2,500 ₮ ($ 1.79) an hour). With a 40 hour week that would be about 433,333 ₮ ($ 309.52) a month, more than the above example. Our housekeeper is paid even more, 4,000 ₮ ($ 2.86) an hour. I don't know why housekeeping should bring in more money than translation, maybe because they're working for Americans. Saturday morning I took over teaching two piano classes because Sister Anderson (Dr.) is going to teach piano out at Chingeltei. I'll have to see how the classes work out without a translator because Sister Anderson was paying the previous translator a lot, and I'm not willing to pay that much. Sister Anderson is very generous, but it is way over the going rate for translators. There were a couple of sisters in the office today who wanted to learn to play the piano. I suggested they come to the class on Saturday (I don't know if they will be allowed to use their time to do so), but that way since one of them speaks minimal English, it could help. Saturday afternoon looking for lightbulbs we went to a furniture store for the wealthy; it was very nice. The prices are way too expensive for the average Mongolian. There is a disparity in income here. Three branches meet in the Chingeltei building where our Sukhbaatar Branch meets. The branches are good-sized. Our branch had around 170 in attendance on Sunday, more than Ukiah II Ward has seen recently. There are 10 missionaries, who work in the branch, 8 elders and 2 sisters, plus several branch missionaries. After church Sunday the 10 Sukhbaatar missionaries were invited to our apartment for dinner. 2 of them didn't come, but we still had a total of 12 people for dinner with Elder and Sister Hitchmough and us. (Next Sunday will be the Hitchmoughs last Sunday in UB.) In order to serve that many we had 6 sit at the table and 6 sit around the coffee table. We served spaghetti, French bread (which Wes made), canned corn (which no one ate), cake baked by Sister Hitchmough, and ice cream. 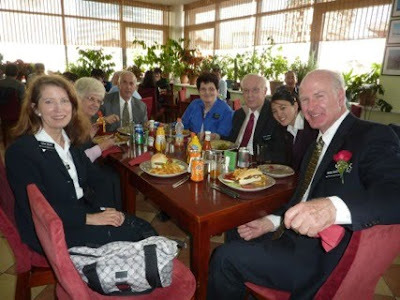 It was a very pleasant get together and provided us with a chance to get to know the Sukhbaatar missionaries better. They are good missionaries. We ended with scripture reading, a spiritual thought, a hymn, and prayer. Mongolia's Nine White Banners "Yoson Kholt Tsagaan Tug"
I've been wondering about the nine white banners that I saw at Naadam. "Mongolia’s Nine White Banners or 'Yoson Kholt Tsagaan Tug' are the main symbols of Mongolian national unity, freedom, power, justice, brilliance, and peace. 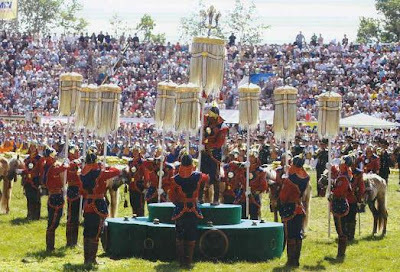 In the 13th century, Chinggis Khaan established the Great Mongolian State and initiated the nine white banners as symbols of ceremony. Mongolian people have been honoring the banners ever since. "The nine white banners are made up of the tail hair of a thousand stallions from each of the provinces in the country. The white and tawny colours, as well as the horse hair, are symbolic of the power and strength of the state." Last Sunday evening (July 5th) was our senior missionaries Fast Sunday family home evening. It is enjoyable to have a gospel discussion in English. The topic was JS Lesson #33 on Spiritual Gifts. Each couple was assigned one of the bulleted sections at the end of the lesson to discuss. The home evening was held at the Caldwells who served us banana cream pie for dessert. Besides material in the lesson manual I added the story of President Joseph F. Smith when he was a young missionary. "I needed the gift of tongues once, and the Lord gave it to me. I was in a foreign land, sent to preach the gospel to a people whose language I could not understand. Then I sought earnestly for the gift of tongues, and by this gift and by study, in a hundred days after landing upon those islands I could talk to the people in their language as I now talk to you in my native tongue. This was a gift that was worthy of the gospel. There was a purpose in it." Dr. Anderson spoke on his thoughts as a doctor and as a Melchizedek Priesthood bearer on the gift of healing and gave us a handout on his reflections on the subject. There is an Elder Tsotgerel in the mission who has been very sick. His kidneys failed. If he were an American, he would be immediately sent back to the States, but being a Mongolian there is no place for him to go. He has nephrotic syndrome which occurs in 1 out of 100,000 people and has a death rate without treatment of 60%. Dr. Anderson found a Mongolian nephrologist who proved ineffectual. The doctor didn't recognize the disease and just wanted to do more tests. The treatment is a high-dosage of steroids which has its own side effects. Dr. Anderson did start him on the steroids, and a mission fast was held for the elder. At the end of the fast, Elder Tsogtgerel was to choose someone to give him a blessing. He chose Dr. Anderson. Dr. Anderson said he hadn't broken his fast yet and prayed before giving the blessing. Elder Hadfield was the interpreter. Elder Tsotgerel was promised he'd get better. First he got worse, then he gradually got better. His retention of fluids from the nephrotic syndrome has gone down although his face is puffy from the steroids. Dr. Anderson feels this is a miracle in the mission. With the July 4th celebration last weekend and the Mongolian Nadaam this weekend there have been families of the president and of a few senior couples here in Ulaanbaatar. President Andersen's two sons, their wives, and two little grandchildren have been in town. The Jacksons' family has been here. The Laytons had two daughters here, and the Hodges had a son here. To see the photos in full screen instead of seeing a small slideshow, click on the picture, choose View All, and then select Slideshow. All the missionaries in Ulaanbaatar had tickets to the Nadaam opening ceremony on Saturday (July 11th). We also had tickets to two events on Sunday, but we gave those tickets away. 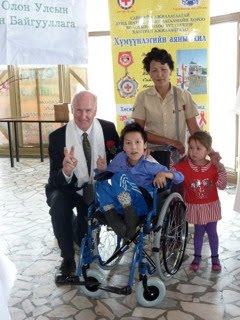 On the way to church today at Sukhbaatar, Elder Hitchmough still had tickets left for the closing ceremonies today. He gave them to the taxi driver along with the money and made the driver very happy. The seniors were in the covered seating, and the younger missionaries were in the uncovered bleachers. Again there was a slight amount of rain. Mongolia is supposed to be dry, but this year there has been a lot of rain. The opening ceremony would have been great, but I couldn't see much. We were on the lowest row, but people get coming in and standing in front of us and wouldn't move. 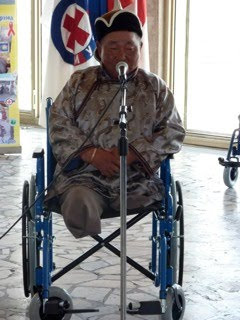 Dad was able to see to get good photographs. I believe the organizers oversold the tickets. After the opening ceremony, some people began to leave. We watched the wrestling for a while, but then we went home and turned on the TV. That was a much better view of the wrestling. We didn't see the archery or horse racing.